Even in a shaded area, spending time outdoors on a sweltering day can send the most die hard outdoor lover looking for relief in an air conditioned home. 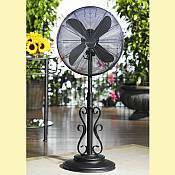 Now, relief can be had outdoors with our Cooling Fans and Outdoor Misting Systems. Nothing beats the cooling effect of moving air. 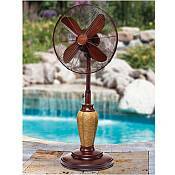 When mother nature does not cooperate then you need an fan that is made for the outside. Some fans have misting kit options which can reduce the surrounding air temperature by as much as 30 degrees, making it possible to feel comfortable on your back patio or deck even on the hottest days. 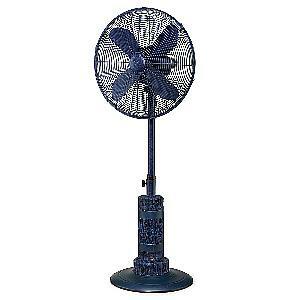 There are 2 types of outdoor fans: those that are UL Listed for Damp Locations and those UL Listed for Wet Locations. If you are installing a fan outdoors, local building safety codes require that you install an ceiling fan with the correct UL listed approval rating depending on where the fan is installed. Fans that carry the UL Listing for Damp are suitable outside, in damp areas that are usually covered and protected from rain. A damp location is an exterior or interior location that is normally or periodically subject to condensation of moisture in, on or adjacent to the electrical components of a lighting fixture or ceiling fan (without risk of direct water contact, even in storms). 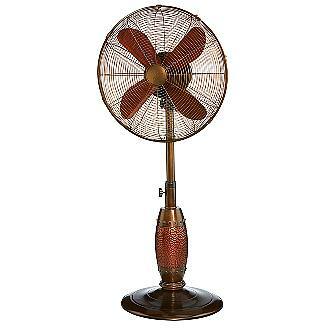 Fans that are marked with the UL rating of "Wet" can be used in wet locations, both indoors and outdoors. A wet location is an interior or exterior location in which water or other liquids may drip, splash or flow on or against the electrical components of a lighting fixture or ceiling fan. 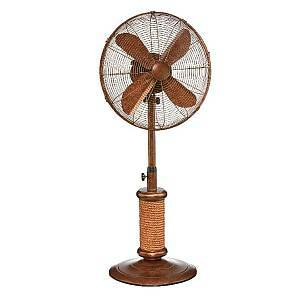 FAN PRO TIP: Did you know that you can "hose off" a WET rated outdoor fan to clean it? Yes you can! 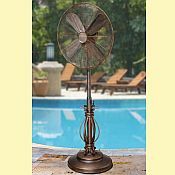 Outdoor fans can get dirty rather quickly, so being able to hose it off can be a true blessing. You cannot do this to a damp rated or indoor fan, so remember this when deciding which type to buy. You may want to unplug it for safety before cleaning it in this manner. Read more about how Misting Fans can improve the quality of outdoor living and working in this informative article.